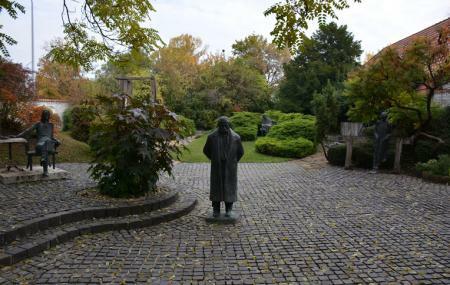 Imre Varga Collection is dedicated to the really well known Hungarian Sculptor- Imre Varga. He was famous all over Europe for the intricacies of his artwork. The Holocaust Memorial and the Raoul Wallenberg Monument is another place where you can witness his artwork. This place has a collection of some of his really remarkable sculptures and is often frequented by people of the art realm and also lovers of art. Group Tickets: Check the official website. Free Admission: Check the official website. How popular is Imre Varga Collection? People normally club together Hajógyári-sziget and Kiscelli Museum while planning their visit to Imre Varga Collection. We went to the museum last spring and when we get back to Budapest, we will definitely go again. Amazing work. We had the most lovely gentleman give us a personal tour and we're so grateful for his efforts to explain the works. We were so engrossed in it, I didn't remember to post a review. So here it is now. Wonderful museum in Óbuda. Imre Varga created many of Budapest’s most familiar and thoughtful statues and you can see designs and models for them here. There are also some hidden gems you might not have seen before. Friendly, knowledgeable staff enhance the experience. Amazing, compact collection of Imre Varga’s sculptures, tucked away in a corner of Obuda! Interesting sculptures by a famous Hungarian artist. I was accompanied wherever I went by an employee who said it's their policy, which was a bit strange. Would have stayed longer otherwise. A National Treasure, Virtually Unknown by Most Tourists A lot of visitors are moved by Imre Varga's work at the Holocaust Museum, the Tree of Remembrance but are completely unaware of his museum that features over a hundred of his works. Unfortunately the city does not promote it.It is easy to get there once you know of its existence. The metro stops right around the corner. The museum has some full size statues, many models of large, public statues, some of his paintings, and medals he was commissioned to design. The place is a treasure trove that no art lover should miss!